She added that â€œin the run up to election day, observers analyse the campaign environment, the election preparations, legal framework, the role of civil society and the media. â€œOn election day, they will observe the opening of the polling units, the vote process, counting of votes, tabulation of results. The EU will assess the conduct of the media by monitoring key TV and radio stations as well as newspapers and social media,â€ she said. 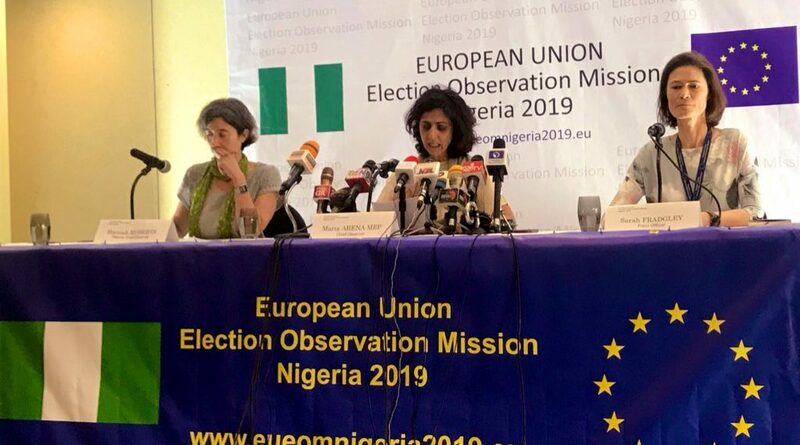 The EU observer appealed to Nigerians to be calm as the elections â€œare an opportunity for Nigeria to build on what was achieved in 2015 and to further strengthen the countryâ€™s democracy. â€œWe are here in the spirit of cooperation with Nigeria. We stand ready to deliver an impartial, objective assessment of the electoral process,â€ she said.